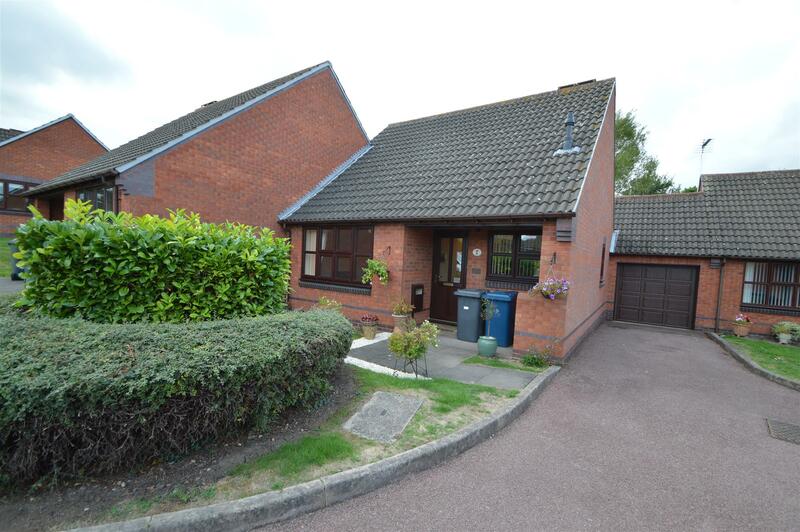 A purpose built retirement bungalow suitable for residents over the age of 55 years and over occupying a fantastic position within this retirement development and located within the heart of the sought after village of Keyworth. The property benefits from gas fired central heating, communal parking within the cul de sac and landscaped gardens to front and rear. The property is offered to the market on a Leasehold basis with a service charge applicable to cover the cost of maintaining the communal grounds and Buildings Insurance. With obscure glazed front door opening into entrance hall. Fitted with a range of wall and base cabinets and drawers, rolled work surfaces with tiling and stainless steel sink, single oven, four ring gas hob, further appliance spaces including plumbing for washing machine and space for fridge freezer, window to front, mounted combination boiler. 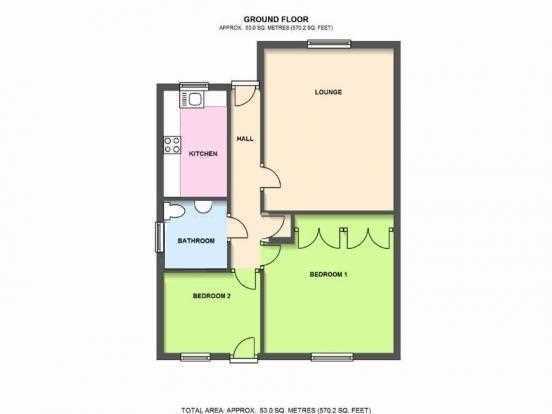 A good sized reception room with space for lounge and room for a small dining table and chairs, tv and phone points, large window overlooking the front gardens. A large master bedroom with window overlooking the lawned rear gardens, tv and phone points and a large run of built-in wardrobes. With window and glazed external door opening out onto the rear garden and loft hatch. Fully tiled wet room with shower fitment and glass screen, obscure window to side, low flush WC, pedestal wash hand basin, heated towel rail. The property is situated within a purpose built retirement development upon the grounds of the old school and located in the heart of the sought after village of Keyworth. No. 6 occupies a great position in the far corner of the cul de sac, set back with a lawned frontage and paved pathway leading up to the recessed canopy porch with outside light, front door and storage space for wheelie bins. There are communal parking bays to the property. Communal gardens continue across the rear of the property laid out to lawn, screened with trellis and a paved seating area accessed from bedroom two. We are led to believe that the property was issued with a 999 year Lease from new in 1987 with approximately 968 years left remaining. We understand via the Vendor there are ground rent and service charges payable for the upkeep of the communal areas including Buildings Insurance and maintenance to gardens. A fee in the region of £109.01 per month covers these costs. We are led to believe by Rushcliffe Borough Council 0115 9819911 the property falls into Council Tax Band B.